Aching backs, never-ending migraines, painful joints: If you’re one of the 25 million Americans who suffers from chronic pain, you’ve likely become accustomed to the discomfort that fills your life. Chronic pain can make life incredibly challenging, regardless of what the cause may be. It may affect your ability to work, exercise, and even interact with friends and family. Some chronic pain sufferers are unable to leave their homes because the pain is so severe. The pain can affect you in dramatic ways and drastically change your quality of life. 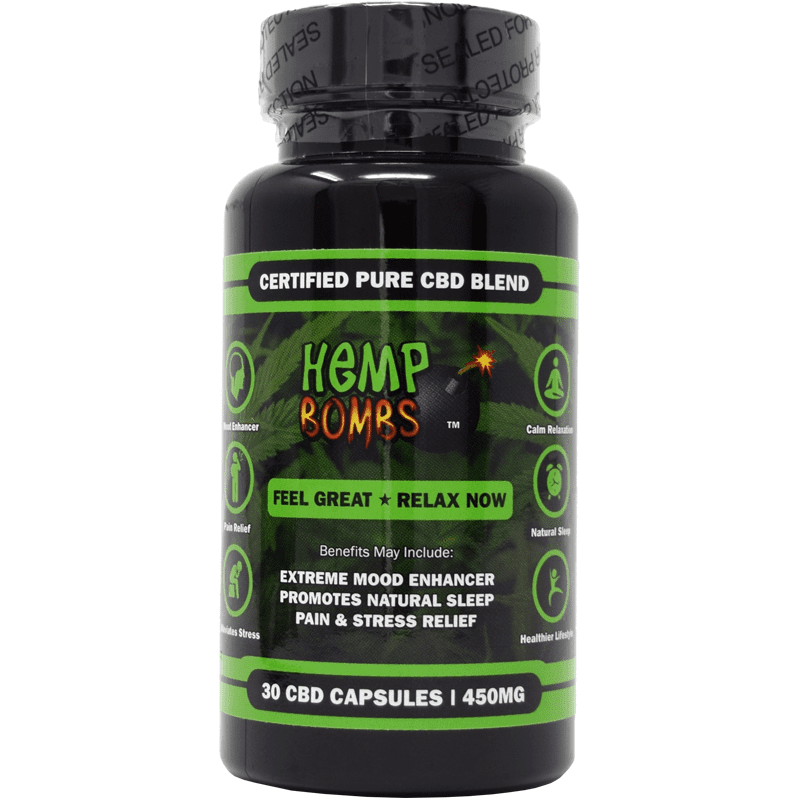 While t can be difficult to find a pain management solution, many people with chronic pain are finding relief through CBD capsules. CBD, or Cannabidiol, is a supplement derived from either the Hemp or Marijuana plant. CBD has been shown to help reduce anxiety, decrease inflammation and improve sleep. CBD is sometimes called a miracle product because of its medicinal value. 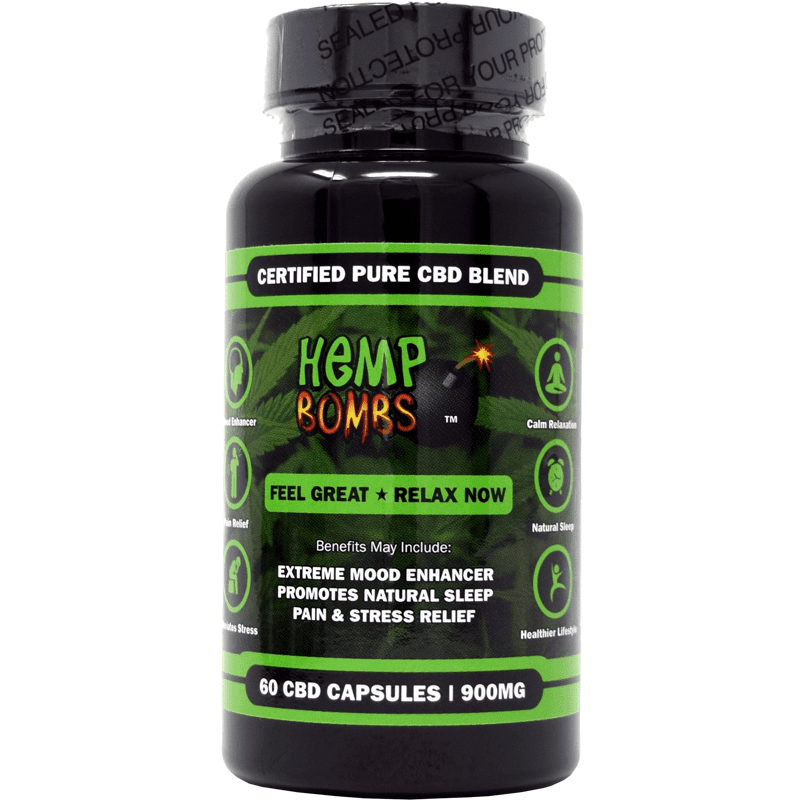 Hemp Bombs CBD Capsules are made with CBD isolate, which means the product doesn’t produce a “high” or cause failed drug tests. 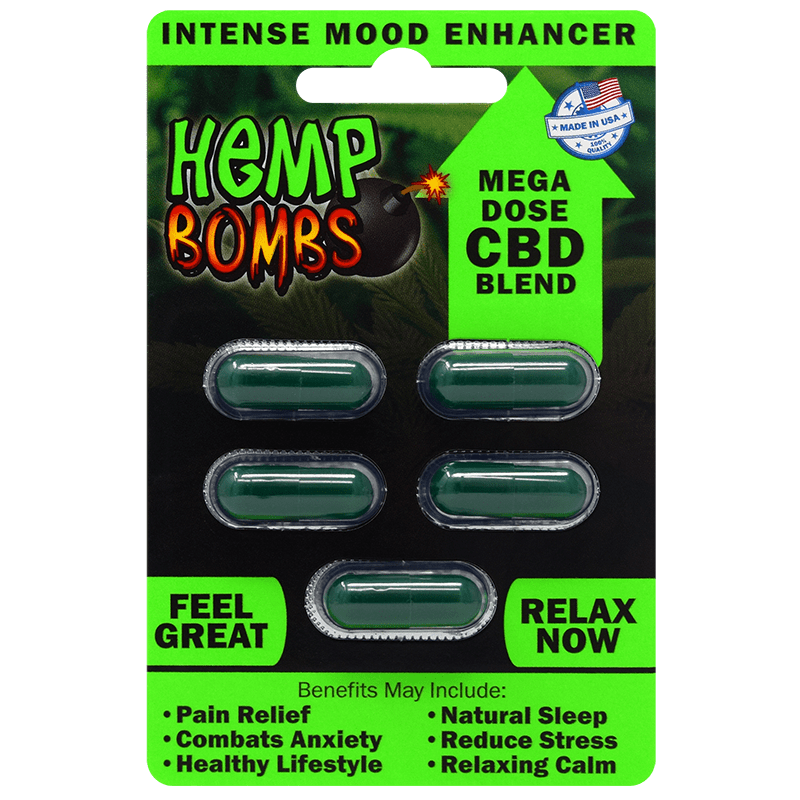 Additionally, Hemp Bombs CBD products are federally legal and contains no THC. Let’s explore how CBD capsules can help chronic pain and what you should know about the product. CBD can be taken several ways, including vaping, orally, topically, and through sublingual administration. Those affected by chronic pain are often drawn to CBD capsules, which can be taken like any other medication. 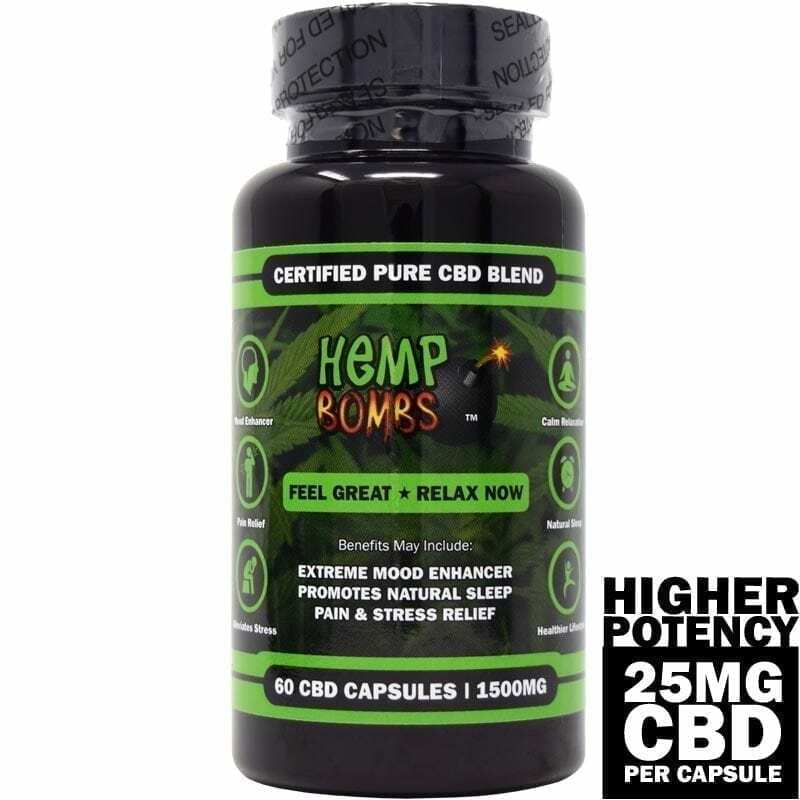 Hemp Bombs CBD Capsules are available in both 15- and 25-milligram potencies, and our customers say it helps with pain relief, reducing inflammation and soothing aching muscles. How Does CBD Affect Pain? Traditionally, pain relievers stop your body from releasing prostaglandin, which are lipids in your body that affect inflammation and pain. While CBD doesn’t directly affect prostaglandin production, it’s able to reduce pain because of your body’s Endocannabinoid System, or ECS. The ECS is a collection of cell receptors in your body that respond to cannabinoids, and it allows CBD to inhibit FAAH (Fatty acid amide hydrolase), which can increase feelings of wellbeing. The ECS is also responsible for pain response, which is why CBD is often effective. Chronic pain is a blanket term used to describe any pain that lasts for more than 12 weeks. It can be caused by something obvious like a car accident, serious injury or medical condition, but it sometimes starts with no clear cause or external warning signs. How do you know if you have chronic pain? Talking to a medical professional may help determine what’s causing the pain and whether it’s chronic. Many people confused acute and chronic pain. While all serious pain can be bothersome and even excruciating, not every ache signals a chronic pain problem. Acute pain is defined as pain that occurs suddenly and remains severe for a relatively short period of time – if you’ve been stung by a bee, you’ve likely experienced acute pain. While acute pain can turn into chronic pain, it’s time-bound and will eventually disappear. Chronic pain, on the other hand, may last a lifetime. Pain characteristics – Chronic pain often presents with a dull ache, but the pain may also cause you to feel soreness, stiffness, throbbing and burning. Chronic pain often brings poor sleep health, increased fear and anxiety, and a harder time coping. It often has a domino effect, with the physical and psychological effects of chronic pain making it more difficult for people to attend social functions, spend time with family and regularly attend work. Once a doctor diagnoses you with chronic pain, you’ll develop a treatment plan to ease your suffering and improve your quality of life. Doctors may advise yoga, meditation, hypnosis, acupuncture and talk therapy. Anti-inflammatory drugs like ibuprofen, pain relievers like acetaminophen, and opioids like fentanyl may be prescribed when creating a medication regimen, depending on the severity of the pain. Unfortunately, traditional treatment options often come with serious risks that chronic pain sufferers should know about. While side effects will vary, one of the most concerning potential risks is the chance of addiction. Opioid medications like fentanyl are known to be habit-forming, and patients should follow their doctor’s orders and be careful to never take too much of the drug. Even when taken properly, chronic pain medications often come with an elevated risk of changes in vision, heartburn, lethargy, swelling, and mouth sores. With so many ways to consume CBD, why should you choose CBD Capsules? Capsules are popular among our customers with chronic pain for a few reasons. The capsules are portable and can be taken on-the-go, and if you’re taking other supplements daily, you can easily fit them into a pill organizer. Additionally, capsules are often less expensive than other medications and may have longer-lasting results than other forms of CBD. Unlike traditional medications, CBD Capsules do not have a known risk of overdose and are not considered addictive, which can provide peace of mind and decrease anxiety about pain treatment. In June 2018, Canadian pharmaceutical company Tetra Bio-Pharma announced a clinical trial that will compare CBD to fentanyl in chronic pain patients. The study’s leaders hope the outcome will lead to doctors and prescribers considering CBD as an alternative for opioid relief. Can CBD Capsules Be Taken With Other Medications? Because CBD affects everyone differently, it’s a good idea to talk to a doctor or pharmacist before adding CBD Capsules to your medication regimen. CBD does not typically interact with prescription medication, but a medical professional can address any concerns about contraindications. It may be worthwhile to show an ingredients list to your doctor so they’re aware that CBD Capsules don’t contain THC and have no harmful additives. It’s not easy to know how CBD will affect you until you try it. However, CBD has been shown to aid in pain relief, and people with these chronic pain conditions may feel better after taking CBD Capsules. 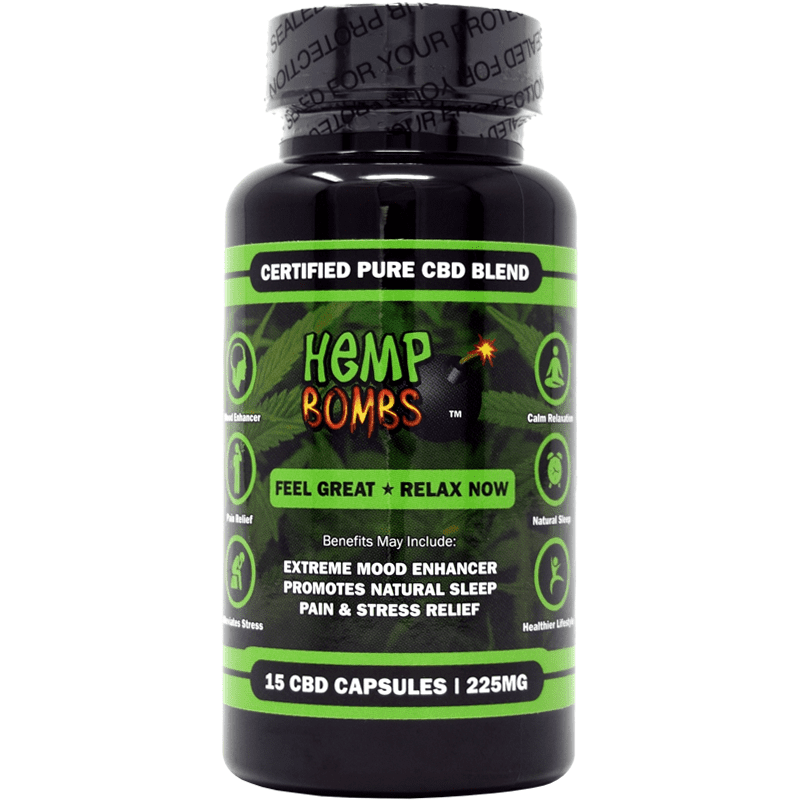 We recommend that everyone start with one or two capsules to gauge how they feel after taking CBD Capsules. Additionally, our CBD Capsules aren’t vegetarian or vegan, so if you have dietary restrictions, we advise choosing something else from our CBD product list. If you’re looking for a natural, non-addictive solution to chronic pain, the search might be over. CBD Capsules have been life-changing for some of our customers who live with chronic pain. Read more about the benefits of CBD Capsules, best taken daily and consistently for maximum results. WebMD – Do I Have Chronic Pain?